Cyberith Virtualizer + Oculus Rift + Wii Mote = Full Dork. Aight. 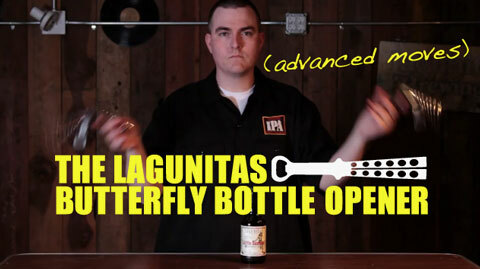 Now that you’ve got the basics down for mastering the Lagunitas Butterfly Bottle Opener, time for some advanced moves. Get ready to drop the dog leg and ipaftw. Also, some freaky sh*t happens when you do these moves. Lagunitas is going to be doing a series of these videos. 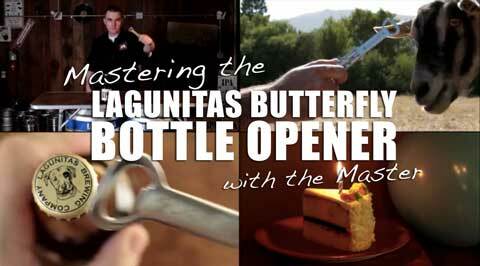 You better watch this one before you buy your own Lagunitas Butterfly Bottle Opener, or you’ll end up looking like the noob at 0:24. 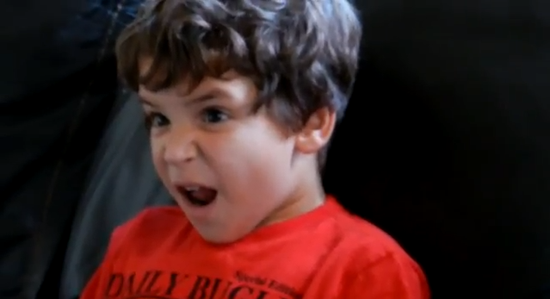 This is a video of 4-year old, Faris, and his sister learning about who Luke’s father is for the first time. Priceless. If you didn’t catch The Simpsons last night, you missed a couch gag animated by John Kricfalusi, the creator of The Ren & Stimpy Show. The couch gag was insane, and you can watch it above. Master LEGO building team OneLUG have completed their incredible model of the Battle of Isengard, a key battle in The Lord of the Rings: The Two Towers. The model includes a whopping seven-foot tall Orthanc tower, dozens of ents, over a hundred orcs, and two small hobbits. Built to minifig scale, the entire tableau weighs 145 pounds, and uses 22,000 LEGO bricks across its eight-foot diameter. We’ve seen some pretty incredible LEGO creations inspired by J.R.R. Tolkein, but this one takes the cake. This SoC board is designed by SJ Brown. Not only is it nicely designed, the frame holds all the tiles in place. The sets are limited and running out. Check it out on their kickstarter page. You have a brilliant brain, Krang!